British Columbia is Canada’s most ethnically diverse province. Yet in general we need to know more about the diversity of religions that accompanied immigrants to the province and how they are practised today. This book offers intimate portraits of local religious groups, including Hindus and Sikhs from South Asia; Buddhist organizations from Southeast Asia; and Tibetan, Japanese, and Chinese religions from East and Central Asia. 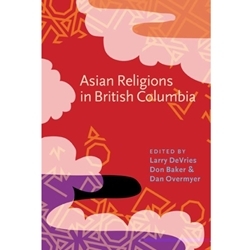 The first comprehensive, comparative examination of Asian religions in British Columbia, this book is mandatory reading for teachers, policy makers, scholars of local history and culture and of Asian Canadian studies.